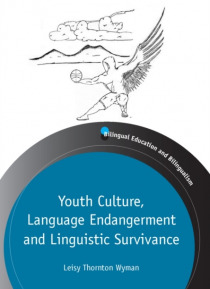 Detailing a decade of life and language use in a remote Alaskan Yup'ik community, Youth Culture, Language Endangerment and Linguistic Survivance provides rare insight into young people's language brokering and Indigenous people's contemporary linguistic ecologies. This book examines how two consecutive groups of youth in a Yup'ik village negotiated eroding heritage language learning resources, cha… nging language ideologies, and gendered subsistence practices while transforming community language use over time. Wyman shows how villagers used specific Yup'ik forms, genres, and discourse practices to foster learning in and out of school, underscoring the stakes of language endangerment. At the same time, by demonstrating how the youth and adults in the study used multiple languages, literacies and translanguaging to sustain a unique subarctic way of life, Wyman illuminates Indigenous peoples' wide-ranging forms of linguistic survivance in an interconnected world.